YOU KNOW HOW when somebody likes the same music as you, you suddenly feel like you know them real well? In the same way, when I play music with somebody, there’s a bonding that just happens no matter what. In some places the chemistry is stronger than others. I have to say that classical isn’t really my thing at all and I was really struggling through that type of music. The others in the BSYO were very patient and didn’t glare at me every time I messed up. It was a good experience. BUT YOU KNOW I’m really going for the country and the soft rock and the bluegrass and the celtic. I just love tearing it up with no boundaries. I make up what I play every time, which is why the written music was restrictive. I don’t think I ever play something the same way I played it last time, even with our show pieces. The same with my singing — I’ll mess around and try out different parts of my voice I didn’t know were there. WE HAVE A gig every weekend this summer. Long roadtrips. More back-to-back mini-tours. I am tired just thinking about it. I wonder how Faith Hill and Tim McGraw feel after their Soul2Soul tour? Yipes. 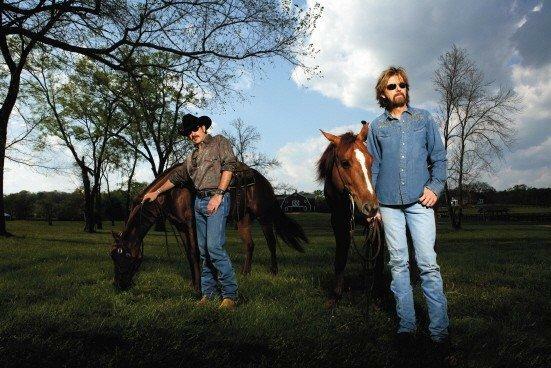 Brooks & Dunn can handle it though, no prob. They’re tough, right? Elsewise why would they go ’round in their sunglasses and black leather… okay, so they beat the McGraws. That is nooo secret… pardon my country music opinions.